After 10 days of drying and over 10 days of curing the buds have become nice and compact, the outsides have a nice crispness to them but when squeezed feel springy and emit a wonderful aroma. Smoking the bud with a small bubbler produces a nice earthy smooth smoke. The high comes on quickly producing euphoric feelings while creating an uplifting buzz. As the initial effects fade a nice relaxing body centric relaxation ensues. Imbibing too much leads to an eye shuttering high that allows a uninterrupted sleep. Kief_some good some green, mostly for cooking, some being used for making vape juice. Trimming my first ever cola branch. Underside shot of trimmed haning colas. Combined with Fox Farm Ocean Forest soil, these nutrients seemed to really work well this grow, only really say any deficiencies at the end of the grow, as to be expected. I found that in flower I started on the light side with the Tiger Bloom, and bumped up the EC every week until I saw slight signs of burning, and then backed off until runoff was under 500 ppm and feed with half the dosage at sign of burning. Wish my issue had a category lol. All my buds have been seeded to some extent and therefore will effect how the buds ripen. I want to know how much seeding alters my harvest timeline, and can I still look at trich's for bud ripeness as the pistils are orange with clear trich's. excellent first harvest! eagerly awaiting trimmed dry yield in grams! saving the bag seed for a rainy day? I for sure will be saving any ripe and healthy looking seeds I come across. I got a bunch of seed from an old grower back in '07. Over the years have germinated a few just to see if they were viable. I was able sprout em even as late as '17 after keeping them sealed in the fridge. 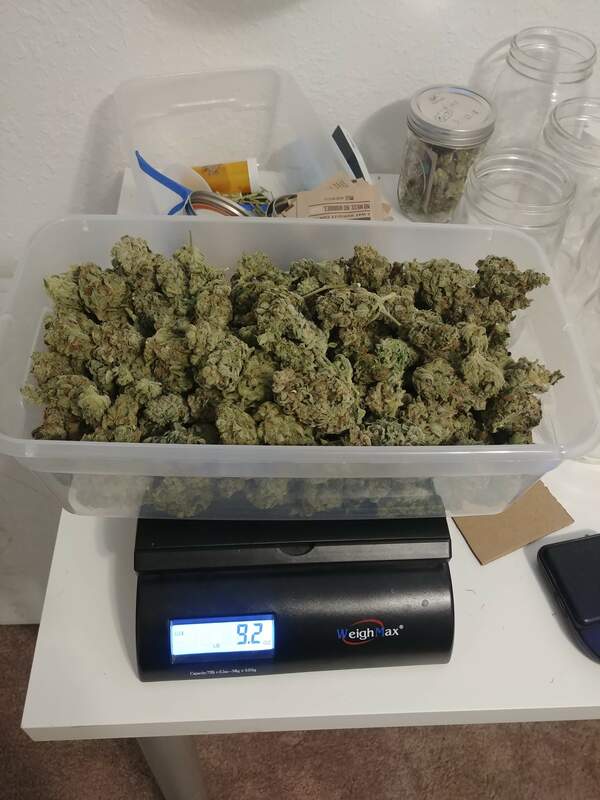 So anything I collect now will get sealed up and put in the fridge just in case, who knows maybe i'll do a late summer crop with all my bagseed.